“It’s March, Easter approaches, and new books about Jesus have appeared. It is an interesting and diverse batch this time around. Bart Ehrman’s “Did Jesus Exist? The Historical Argument for Jesus of Nazareth” (Harper) very ably assembles the evidence, showing that claims that there never was a historical Jesus fly in the face of common sense and more than sufficient evidence. “The Jesus Discovery” (Simon & Schuster) by James Tabor and Simcha Jacobivici argues that a south Jerusalem tomb (called the “Patio Tomb” because it is accessed via the patio of a condo) belonged to a first-generation Christian family. Tabor and Jacobovici think they have found an inscription that alludes to Jesus resurrected and ascended to heaven. Archaeologists are not convinced; some are complaining that the authors have grossly misinterpreted the evidence. Ehrman’s interpretation of the evidence is convincing; Tabor’s and Jacobovici’s is not. How to interpret this evidence is what my own book is all about: “Jesus and His World: The Archaeological Evidence” (Westminster John Knox Press). I begin by explaining what archaeology is: the excavation and study of the remains of material culture. In the case of Jesus it means the excavating and interpretation of remains from the first century B.C.E. and C.E. in Israel (Galilee to the north and Judea and Jerusalem to the south). It means correlating what we discover with relevant written records (such as the writings of the New Testament and the writings of Josephus, the first-century Jewish historian). It often means applying space-age technologies. It is hard work and it is very rewarding. The archaeological evidence shows that Jesus grew up in a small village, Nazareth, about four miles from Sepphoris, a prominent city in the early first century C.E. This city had a Greco-Roman look, complete with paved, columned street, but its inhabitants were observant Jews. The evidence further shows that Nazareth was linked to a network of roads that accommodated travel and commerce. The quaint notion that Jesus grew up in rustic isolation has been laid to rest. The youthful Jesus may well have visited Sepphoris, whose theatre may have been the inspiration for his later mockery of religious hypocrites as play-actors. The evidence for the existence of synagogue buildings in the time of Jesus is now quite strong. Archaeologists have identified at least seven such buildings that date before the year 70. It is in the context of the synagogue that Jesus would have matured in the religious tradition of Israel and heard Scripture read and interpreted. Although some historians think rates of literacy in the first-century Roman Empire were quite low, archaeological finds, such as the tablets found in Vindolanda, England, near Hadrian’s Wall, or the thousands of graffiti etched on the scorched walls of Pompeii and Herculaneum, suggest that at least a crude literacy was widespread and reached all levels of society. This evidence, along with the Gospels’ portrait of a Jesus who debates scribes and ruling priests, asking them if they had ever read this or that passage of Scripture, suggests that Jesus, founder of a movement that produced and collected literature, was himself literate. Archaeological discoveries have given us a pretty good idea of the wealth of the ruling priests Jesus encountered in the precincts of Jerusalem’s famous temple. We may have the name of Caiaphas, the name of the high priest who condemned Jesus, inscribed on an ossuary (bone box). Only one year ago it was reported that an ossuary has been found with the name of the priest’s granddaughter. A number of other priestly ossuaries and possibly even the burial chamber of the family of Annas, father-in-law of Caiaphas. 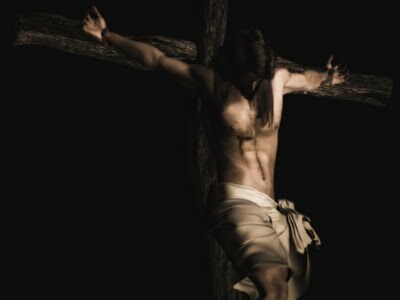 Of great interest are several discoveries that have a bearing on the crucifixion and burial of Jesus. These include the skeletal remains of a man who had been crucified. (An iron spike is embedded in his right heel!) Despite his execution, his body was taken down from the cross and was properly buried, in accordance with Jewish custom. There is no reason to think that Jesus was treated any differently. His body was placed in a tomb, with the expectation that his bones later would be gathered and placed in his family’s tomb. The Easter discovery dramatically altered this expectation. Some really nice photos here too.